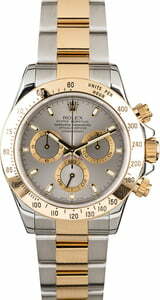 The Rolex Cosmograph Daytona is a sophisticated tool watch, offering chronograph functions as well as a bezel engraved with a Tachymeter scale. 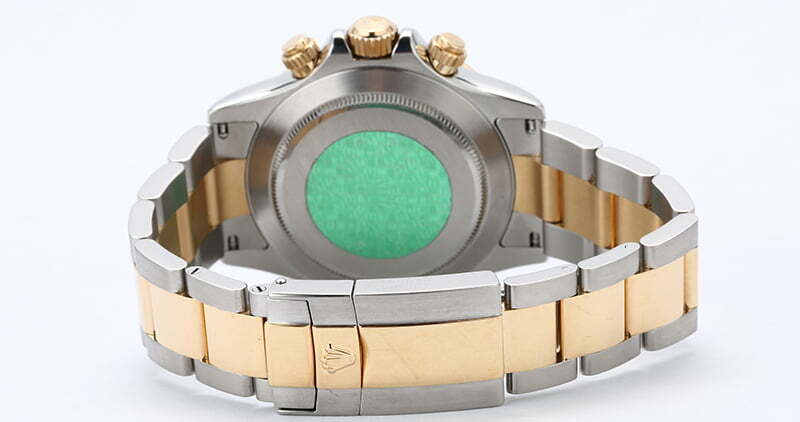 Together these innovative functions allow the wearer to measure incredible speeds of up to 400 kilometers per hour. 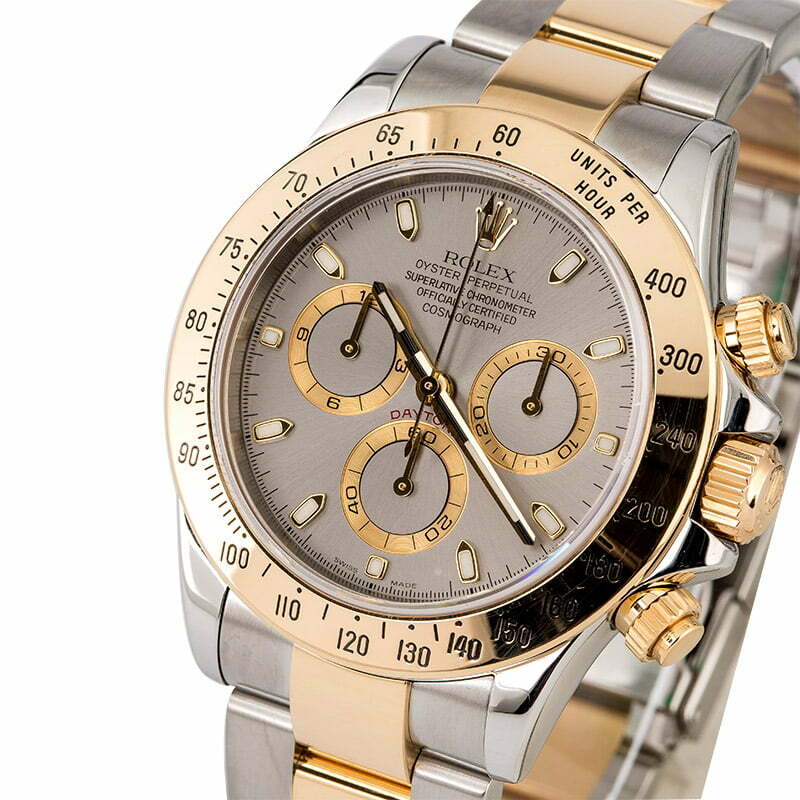 The Daytona also offers the quality craftsmanship that the Rolex brand is known for, featuring a tough Oyster case that is impervious to temperature changes, moisture, and dust. 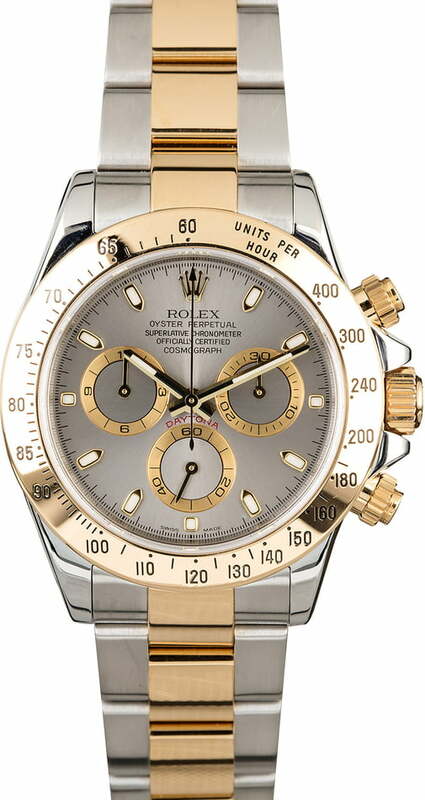 Below the case lies a calibre 4130 perpetual movement, the line's first completely Rolex-made movement, which was developed by the brand to offer anti-shock technology for a smooth reading, even while zipping around the track at the 24 hours of Daytona. 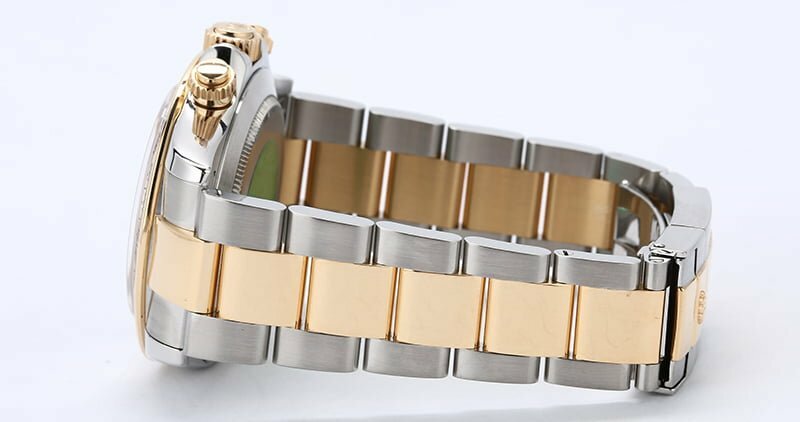 As a newer pre-owned Rolex, the 116523 also boasts a handsome Yellow Rolesor finish in Oystersteel and 18 karat yellow gold as well as a striking slate dial topped with a luminous display. This is my 4th Rolex bought from Bob’s, and I’ll be back for more. 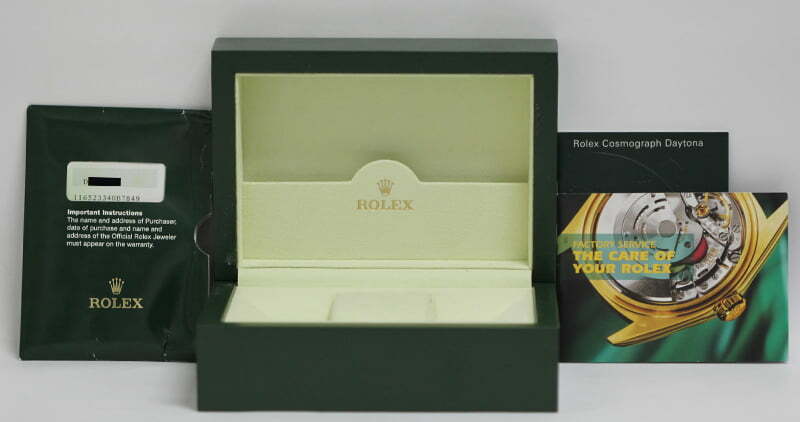 Excellent service and I don’t have to worry the watch is real, fake or stolen. Thank you, guys.